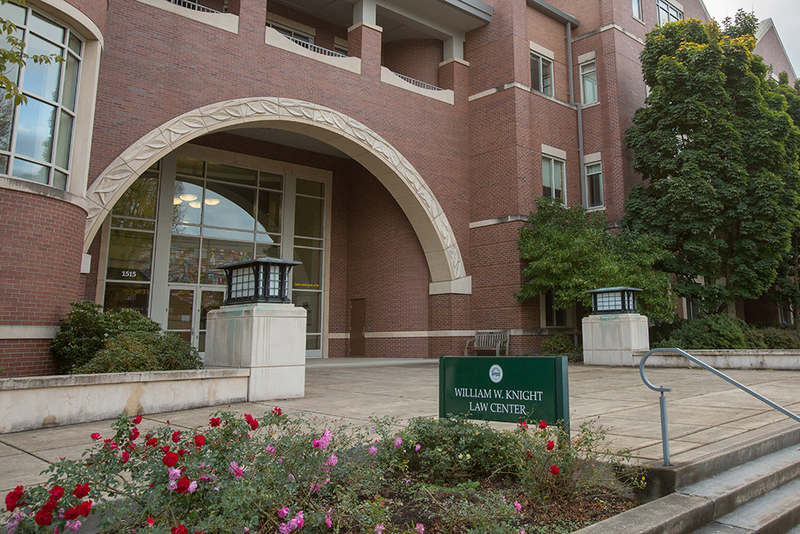 The University of Oregon School of Law elected 11 members of the class of 2017 to the Order of the Coif, the highest academic honor a law student can receive. Elected students represent the top 10 percent of the graduating class. Coif member Ariel Stavitsky of Eugene graduated first in the class. The Order of the Coif is a national honor society for law school graduates at member institutions. To be elected to the Coif, a student must earn a law degree and attain a cumulative grade point average in the top 10 percent of the graduating class. The National Order of the Coif was established in 1912, and 86 of the nation’s accredited law schools have chapters. Oregon Law founded its chapter in 1934, and it remains the only school in Oregon to bestow the honor. Thomas Allen, Redding, California; Elizabeth Bailey, Vancouver, Washington; Jonathon Bish, Madison, Georgia; Erik Bonn, Newport Beach, California; Ariana Denley, Gold Beach; Esack Grueskin, Iowa City, Iowa; Alisha Kormondy, Ashland and Central Point; Luke Kuzava, Santa Fe, New Mexico; Erika O’Sullivan, Juneau, Alaska; Nicholas Peppler, West Linn; Ariel Stavitsky, Eugene.